Plein v. Stella Maris, Inc. This is a nursing home wrongful death lawsuit filed on behalf of a woman in Baltimore County against Stella Maris, a poorly rated nursing home. This UTI infection nursing home lawsuit was filed in the Maryland Health Claims Arbitration on January 24, 2017. This case is the 40th medical malpractice case filed in 2017 in Maryland. The decedent has a history of hypertension and chronic kidney disease. She falls and fractures her hip. She is taken to Greater Baltimore Medical Center, where she has surgery the following day to repair her fractured hip. During this hospital admission, a urine analysis is performed and is negative. A Foley catheter is placed and removed after two days. The decedent is transferred to Stella Maris, a rehabilitative and long-term care nursing facility in Lutherville-Timonium. Upon admission, she is required to be observed every shift, her fluid intake be documented, incontinence care should be performed every two hours, and she has to be brought to the bathroom every 2-3 hours. After two weeks of residing at Stella Maris, decedent falls as she is attempting to get out of bed and open her walker. She injures her right arm. The following night, she complains of being extremely cold. She is given warm packs to place under her arms and between her legs. For the next few days, the decedent complains of being cold. The staff stops providing her with warm packs, so her daughter brings her extra blankets. However, when her daughter arrives, she finds the decedent to be lethargic. Her daughter notifies the staff. She continues to appear lethargic the following day and have chills. A urine sample is collected, but no prophylactic antibiotic therapy is initiated to treat a possible urinary tract infection. Her daughter also notices that her mother is not being brought to the toilet as often as she is supposed to be. The urine sample analysis comes back as positive for nitrates and as having trace amounts of leukocytes, but no antibiotic therapy is started. The final urine culture is returned the next day, positive for bacilli. By this time, the decedent is very weak and tired. A prescription for Cipro was called in by the nurse practitioner. The next day, the decedent becomes more lethargic. The staff finally becomes concerned when she becomes hypotensive with decreased oxygen levels. She is transferred to Greater Baltimore Medical Center when she is found to be hypoxic and hypotensive. She is diagnosed with sepsis likely from a UTI. Decedent stays in the ICU for two days and is then transferred to hospice care when she passed a few days later. 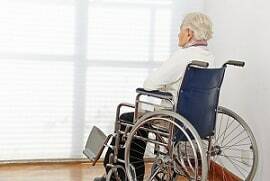 The woman's family brings a nursing home wrongful death lawsuit for allowing the UTI to progress to the gram-negative urosepsis that killed her. Urosepsis is sepsis caused by a urinary tract infection. Bacteria in the blood or the endotoxins from bacteremia usually manifest itself by the changes in temperature. It can be fever or hypothermia, which is what this patient probably had. Other symptoms are tachycardia (heart rate more than 90 bpm), tachypnea (more than 24 breaths per minute) and an increase or decrease in white blood cell count. This is a common problem. A nursing home resident, often with an indwelling catheter, develops a lower urinary tract infection. But usually, the nursing home or hospital usually catches this problem look before the infection results in urosepsis and death. The victim in this case was 91 years-old. That is going to be the defense. Stella Maris is not an impressive nursing home if you look at the Medicare ratings. But its UTI frequency is fairly consistent with state averages. If you have suffered due to the negligence of a nursing home or a doctor, our firm can help you get the compensation you deserve. We have a history of large verdicts and settlements. Call us today to speak to an attorney who can answer your questions at 800-553-8082. You can also go online and fill out a free case review form.